Society for Healthcare Strategy & Market Development. 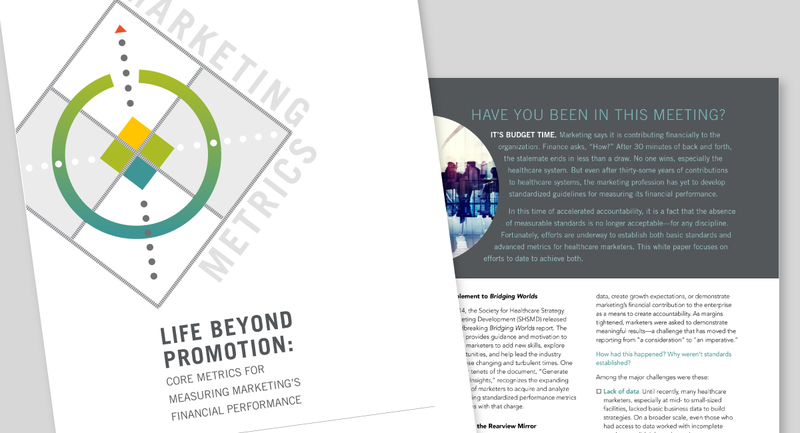 SHSMD’s Marketing Metrics report is a blueprint for measuring the financial performance of marketing in healthcare. This report equips healthcare marketers with the tools to manage marketing conversations with senior leaders, and provides guidelines for measuring the financial results of marketing efforts. 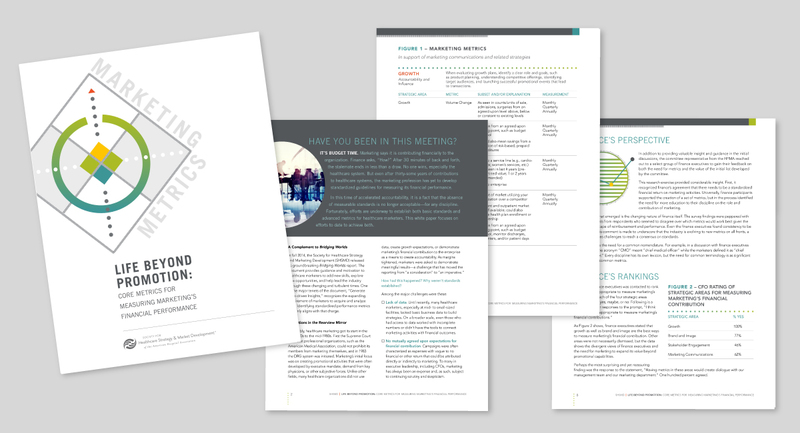 We designed the report with a focus on bringing in visual elements to represent or in some cases, communicate, the information and findings in the report. We are big fans of visual representations of data because visual elements spark an instant connection with a reader in a way that is more rapid and deeply-embedded than text alone.